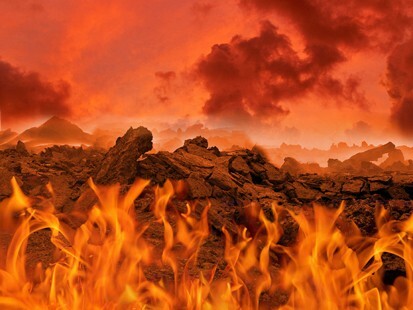 Did God create a hell, where sinners are punished for all eternity ? “God is love,” 1 John 4.8, would it make sense for a God, who is the very definition of love to create such a place? In Genesis, God created the heavens and the earth, and he looked upon his creation and, “behold, it was very good.” Gen.1.31. Man suffers for the sin he commits, Gal. 6.7 states,” Be not deceived, God is not mocked, for whatsoever a man soweth, that shall he also reap.” Man’s actions do result in consequences, but not in a torture chamber called hell. Posted in: God and Punishment. ← How do we see God?